There are six main types of partial foot amputations that can be helped through the use of partial foot prosthesis: Toe Amputation; Ray Amputation; Transmetatarsal; Lisfranc; Chopart; and Symes. Each type of amputation (respectivly) requires more of the foot to be lost. 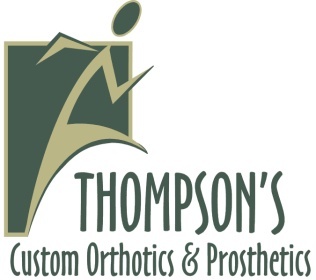 Prosthetic options include: no prosthesis; rigid footplate with arch support combined with a rocker bottom shoe sole; custom-molded foot orthosis/ prosthesis; custom-molded shoes; modified ankle-foot orthosis with a toe filler; foot prosthesis-a custom-molded socket attached to a semi-rigid foot plate with a toe filler. A partial foot prosthesis can help distribute the weight-bearing forces comfortably on the remaining foot and allow for the patient to walk for a longer period of time without as much pain or discomfort. There are sometimes surgical revisions that need to be made to an amputation to allow a patient to sucessfully wear a prosthesis. Today’s technology, materials and fabrication process allows for partical foot prosthesis to look amazingly realistic.